Finally! The wait, it seems, is over. 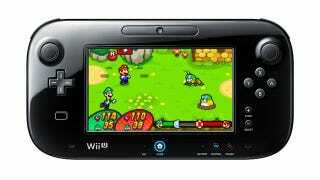 Nintendo announced today that it plans to bring DS games to the Wii U's Virtual Console. Details are scant, but Nintendo president Satoru Iwata explained that getting DS games, with their dual screen gameplay, on the Wii U GamePad has created a hurdle. Nintendo did not provide specifics as to when DS games will hit the Wii U's Virtual Console, nor did it announce whether or not DS Games are planned for the 3DS Virtual Console.